OMG....this is SUCH A BEAUTIFUL card my friend!!! LOVE IT! Great JoB! Super cute! YUMMY! Love how you used the sprinkles to create your background as well!! Fun idea!! OMG Miss Gaylynn OMG & WOWIE WOW What a GORGEOUS Card!! Loving the background you created it's so beautiful and it definitely showcases that Cupcake Beautifully!! You so did a Super Incredible Creative job!! YOU so ROCK!! This is beautiful! I love that you matched the background do the frosting and sprinkles. Gorgeous! Sweet card! The colors are soooo PRETTY!!!! Great colors and I like how you used the sprinkles...wonderful job. Stunning card! I love how you used the sprinkles in the background! Very pretty. I like the sprinkles in the background and on the cupcake. 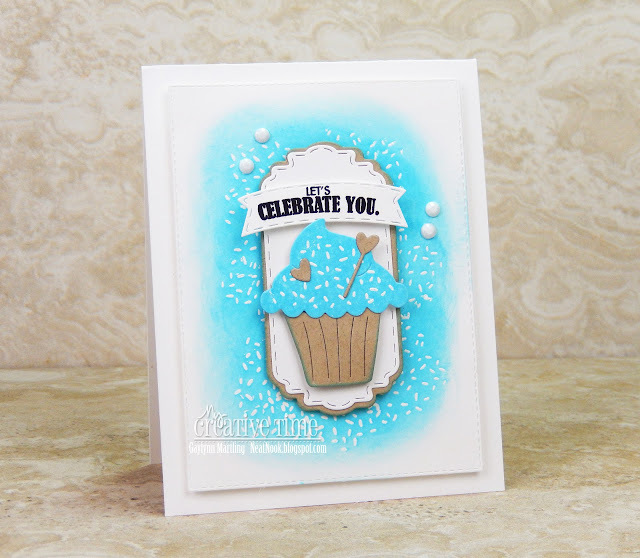 Gorgeous colors for your card, and I love all the confetti, Gaylynn! 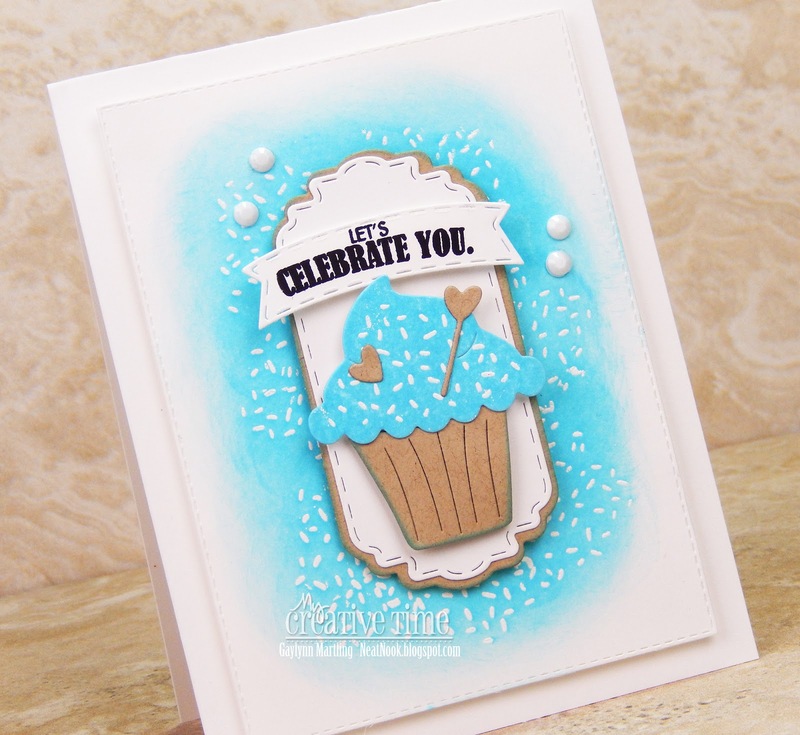 Thanks so much for playing with us at the Simon Says Stamp Wednesday challenge!